I was talking to a friend of mine about the Disney Dining Plan. Is it worth the added cost? What if you can get it for free? We both agree that if you can get it for free, that it ‘may’ be worthwhile, but paying for it is usually not a great deal. My family has done the dining plan 3 times. Each time it was included in our package. We have never paid out of pocket for the plan. She has never done the dining plan, but always thinks about it. carts, etc – look for this graphic on the signs next to the items that are eligible to be purchased with dining snack credits. Some things you can get: popcorn, ice cream, coffee, hot chocolate, cookies, fruit, juice, bag of snacks, fountain drink or bottle of water. So you can definitely plan to eat at the most expensive places for every meal, and maybe make out. During our trip, my daughter and I spent about $350 on food for the 6 days. (that does not include alcohol). So we would have paid almost double that if we bought the dining plan. BUT when the boys go with us on vacation, we eat a lot more! So for those trips, the dining plan might be a good option. You can sometimes get the Dining Plan for free.. but you are paying full price for the room, and a hopper ticket usually must be purchased, too! So the overall cost may not be as great as you think. You should try to do a comparison – see if you can get a room discount, and add in the ticket cost. If you don’t typically buy hoppers, then price non-hopper tickets, and the price of the dining plan on top of all that. See what the difference is. Also, the free dining plan packages contain different dining plans for each tier of resorts. Values and Moderate resorts get the quick service dining plan free (you can pay to upgrade to the regular dining plan or the deluxe). The deluxe resorts and villas get the regular dining plan (you can pay to upgrade to the deluxe). There are lots of options and things to compare for yourself – you need to look at all the combinations, and see if its worthwhile to you. 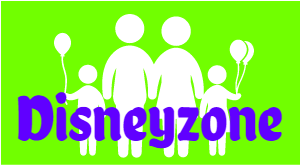 It is fun to use the dining plan – your credits are loaded onto your magic band, and are deducted as you use it. Your receipt will show you how many of each thing you have left. You do not have to use the credits in any specific order. You are given all your credits in one lump sum – so if you are staying 6 nights and you have the Regular Dining Plan – each person will have 6 table service credits, 6 counter service meals, and 12 snacks. You can use the dining credits in any combination until you run out. You could have 3 counter service meals in one day if you wanted! Its very flexible. The dining credits expire midnight of the day you check out – so make sure you use them all – they do not carry over and there are no refunds for unused dining credits. We always end up with snack credits, so we grab bags of snacks for the flight home. My daughter and I are content to snack through the day and throw a meal in here and there – so the dining plan is not really a great deal for us. But like I said, when the boys come – food is a huge focus. Taking a couple hours each day to enjoy a nice meal is a bonus. So the dining plan makes sense. If you just want to spend time doing park stuff, and not taking tons of time to eat – then maybe not. Every family is different and needs to figure out the value for themselves. 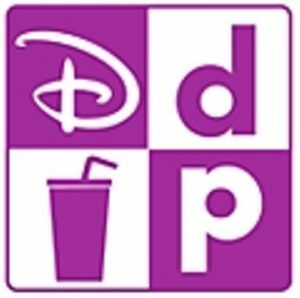 Here is a link to the Disney Dining Plan page on the Disney Website – check it for the most up-to-date info.